This little Belly Bear finally got some pants! As Deb's Belly Bears have gained more popularity, they are slowly putting on their pants! 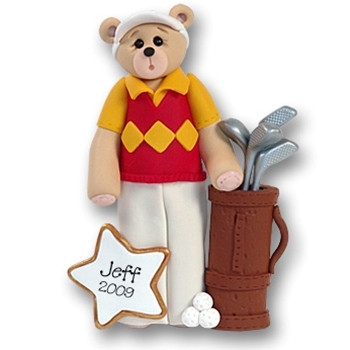 This golfer Belly Bear has been totally redone. He is hand made from polymer clay and comes complete with a hook and ribbon for hanging.